It's not often that I get to hang with people of the caliber of Joe Glaser (pronounced "glay'zer"). 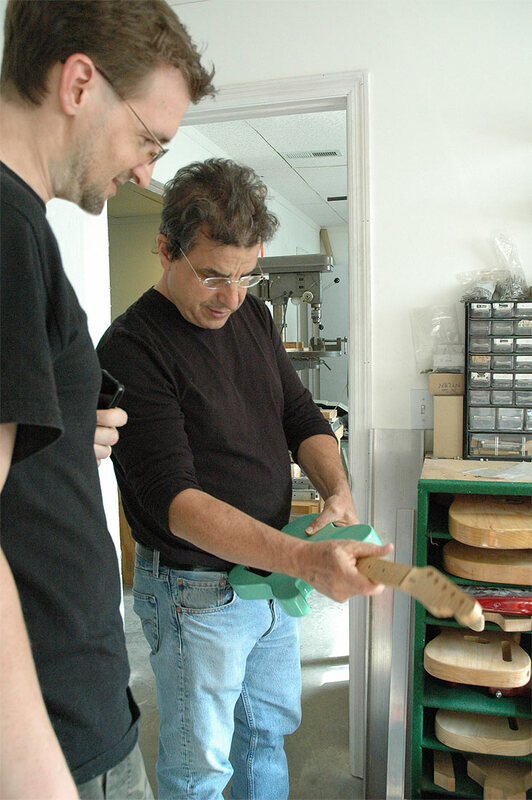 I've been hearing about Joe and his legendary shop for quite some time, so it was a real treat to spend an afternoon touring Glaser Instruments and asking Joe questions about his craft and the clients he services. And, wow, what a client list! Keb Mo, Vince Gil, John Fogerty, Keith Urban and Brad Paisley just to name a few. As it turns out Joe is a master of the Plek machine, a computer automated guitar fret dress and setup device (pictured above right). 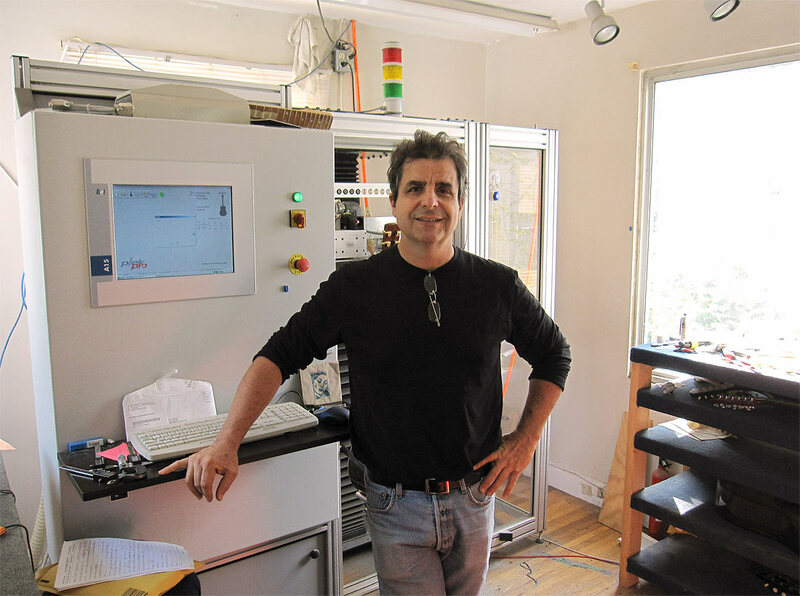 As one of the first Plek operators outside of the Plek company, Joe has years of practical experience with the machine and is responsible for helping create and streamline many of the important features of the latest model, the Plek Pro. This machine is able to level and crown frets much more accurately than a human being... to measurements that are within .0001 of an inch, consistently, across the whole fretboard! This allows Joe to perform fret levels and setups that are always spot on. Now, that is not to say that these guys can't do a mean fret level and dress by hand, but, according to Joe, "Once I got the machine I scanned all our hand-done work, and it was really good, but not as good as the Plek." While on the tour we were shown many pieces that were severely damaged by the 2010 Nashville flood last May. 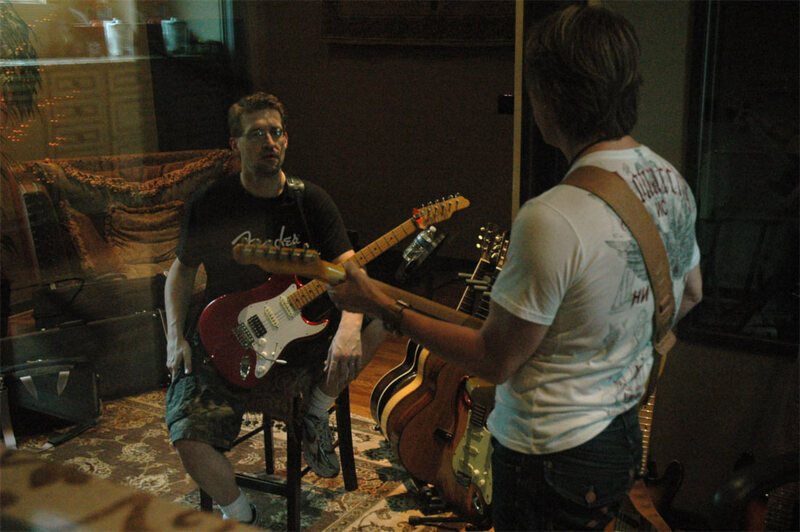 Joe and team have been working furiously over the summer to restore a lot of these damaged instruments for musicians like Pam Tillis, Brad Paisley, Vince Gill, Keith Urban and many others. The shop was literally chock full of them. Some of these restored instruments will be auctioned off by a non-profit organization called NasH2O created to help Nashville musicians who were uninsured for flood damage. Many of these less fortunate, struggling musicians lost everything in the flood and are trying to get back on their feet. The work that Joe and team are doing will help raise the money needed to ease these victim's losses and to get them playing and creating music again. 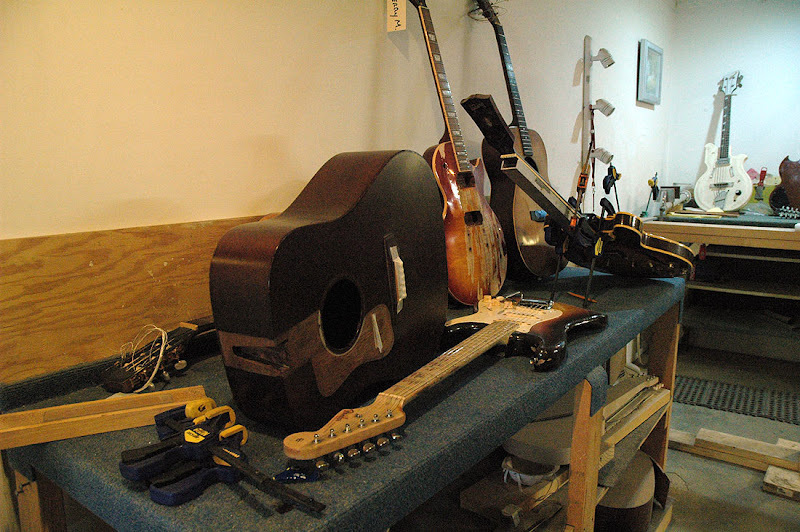 As you might expect, Glaser Instruments offers full service guitar repair. 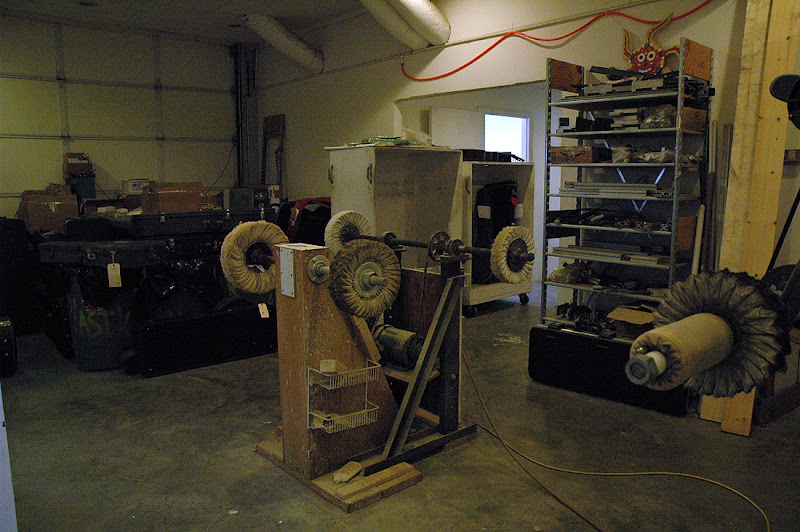 There is a machining area where Joe makes the famous Glaser B Bender, a paint booth and a wood shop. Joe's great team of experts help him keep the place humming smoothly. 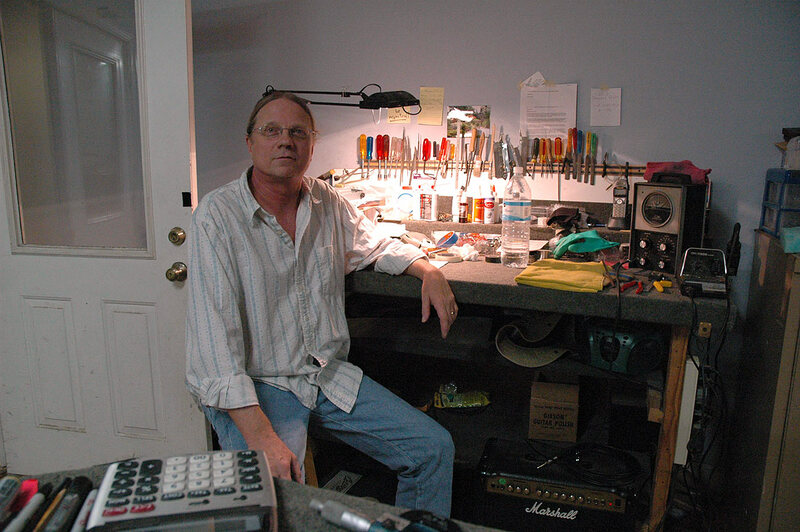 Tom Barkstrom (pictured right) is the guitar tech and setup guy, Charley Lonsdorf is the acoustic setup and electronics expert, Scott Holyfield is the finish and structure guru, Floyd Cassista (pictured top left) mans the fretting station and John Alford is in charge of the Glaser B Bender installations. From complete restoration to refrets and simple setups, these guys do it all! Ryan's Guitars: Are you a Strat guy or a Les Paul guy? Joe: Actually, I am a former steel guitar player so my guitar preferences aren't very much aligned to the norm, so to speak. I collect, and am most interested in, the '30s and '40s high-end Gibson archtops such as the L5 and Super 400. Not so much anymore because you just don't see these now, but about 10 or 15 years ago when they were just around I collected as many as I could find. But I have to say that I am a giant Fender fan and have been from the very beginning. Not only of the simplicity of the Tele and the Strat but also the way Leo Fender thought and designed. The correlation between his design mind, the product and its usability just knocked me out and was a big influence on me in the early '70s when I first started doing this. Ryan's Guitars: Why repair and what do you love the most about it? Joe: One reason I like doing repair is because a lot of the people we deal with are in the studio all day long, world class players, and they know really quickly what's in tune and what isn't in tune with their needs... what plays well, what the difference is between this pickup and that, wiring styles, and so forth. So to me one of the great privileges of this business is the expert feedback we get on all the things we do. You learn a heck of a lot from that. 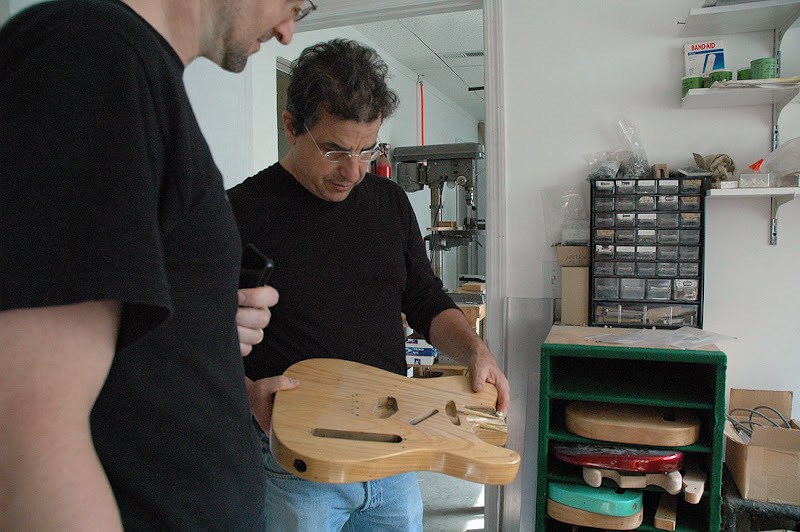 Ryan's Guitars: You are primarily a local shop, but you also receive a fair amount of work from out of town. Joe: Yeah, we stay busy enough locally that I don't normally try to cater to out-of-town jobs. One reason is because I like having a personal relationship with my customers so I can better learn what they like. That's easier to do when someone sits down and plays in front of you. Even so, we do get a lot of guitars sent in from out of town and we treat each job we are working on as the most important one in the shop, no matter who the instrument belongs to or where it came to us from. Ryan's Guitars: One thing I've always found annoying is going to a guitar tech and requesting certain setup specs only to get the guitar back set up to the tech's preferences. Joe: (laughs) I often go around the country to do Plek training, or help set up the machines and while in some of these shops you find that the setups are done to the shop owner's specs only. This is very common. Here we set every guitar up differently. We ask people what their setup preferences are and that determines everything about the job we do on that instrument. Ryan's Guitars: You certainly rub shoulders with a lot of top-notch musicians... many of whom were not top-notch when they first started coming to you for repair work. Any parting words of wisdom for the undiscovered players out there? Joe: Everybody I deal with, who is not just a player but well positioned in the hierarchy of players, keeps themselves from getting too "settled" or they won't practice, they won't play, they won't have the artistic drive and they won't push the envelope. All the great players that I personally know would never tell you they think they are good... and some of these guys are truly awesome players, but they just don't see themselves that way. Ryan's Guitars: What are your five desert island albums? Joe: Are you serious? (laughs) Gosh, that's an interesting question... well, the first one would be Jessie Winchester's first album, the Beach Boys "Smiley Smile", anything by Chopin, Bob Dylan "The Basement Tapes" and Albert King "I'll Play the Blues for You". Ryan's Guitars: Thank you, Joe. 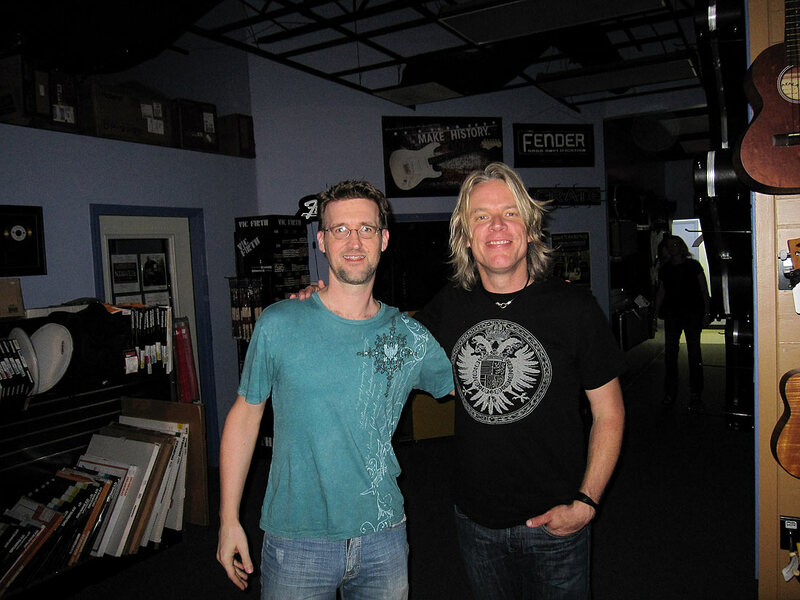 It's been a great experience meeting you and touring Glaser Instruments. Joe: My pleasure. We were glad to have you! The shop closes at 5:30 CST on weekdays and is closed Sat. & Sun. I love going to Nashville. My wife and I always have the best time there meeting and hanging with interesting, inspiring people and catching the live performances of some of our favorite artists. Nashville is a very musically diverse city dripping with raw talent that can be experienced even in such places as the hole-in-the-wall Mexican restaurant where we stopped to have beers with friends our first night. The guitarist in that band was laying down some serious fusion licks with flawless, effortless technique... in a Mexican restaurant! Oh yes, Nashville is definitely my kind of town. 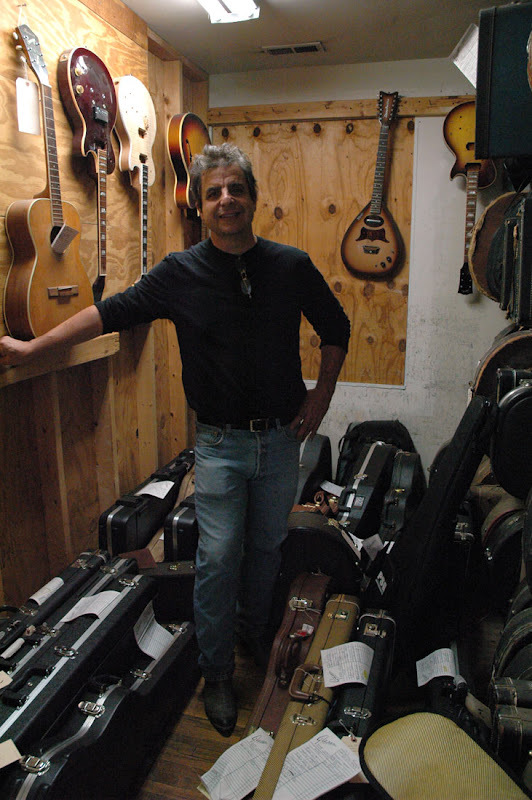 First up on the list of things to do for the weekend was to visit Joe Glaser at his shop, Glaser Instruments, to drop off a guitar for a refret. 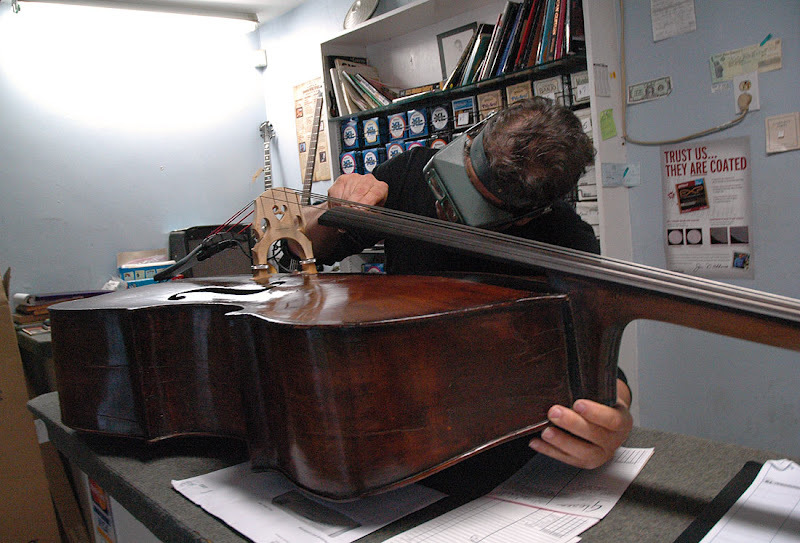 Joe has been building, setting up and repairing instruments for the who's who of Nashville for over 30 years. He and his team of experts do everything from salvaging disasters (i.e. acoustics smashed by jealous girlfriends) to basic tweaks and everything in between. The guitar I dropped off is one I recently bought at my local Memphis Guitar Center... an awesome '88 Japanese lefty Fender Strat. In addition to the refret, I am having the guys flatten the neck radius from 7.25" to a compound 10" - 12". Can't wait to get it back, and I know it will be perfect when I do. While there, we were given a tour of the shop by the man himself and I was able to ask him a lot of interesting questions along the way. Joe is such a great guy and wickedly smart. Hanging with Joe Glaser for an afternoon ranks awfully high on my list of coolest life experiences... don't forget to look for a complete write up and my interview with Joe soon! After leaving Joe's shop we rushed over to meet up with my friend Robbie Calvo (a Nashville session player and recording artist) and model/actress Annie Anderson at World Music Nashville to catch a clinic performance by renown guitar player, Andy Timmons. I've been a huge fan of Andy's for years now and have his albums in regular rotation on my iPod. His playing, compositions and note choices are fantastic and his tone is easily the best of all the instrumental guitarists I listen to. Unfortunately, we missed the first 20 minutes of the show, but I was thrilled with the songs he played after we got there... Deliver Us, Gone (09/11/2001) and Helipad from the "Resolution" album and Falling Down, Cry for You and Electric Gypsy (my all time fav!) from the "That was Then, This is Now" album, among others. Being the witty and funny guy that he is, he had everyone laughing and having a great time with his jokes and humorous stories in between songs. What a character! 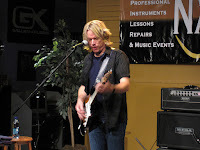 Andy Timmons fans will be delighted to know that he plans on releasing two new albums soon, one an instrumental guitar remake of the Beetles "St. Pepper" album and the other a new offering of original tunes coming out shortly after that. Can't wait to get them both! If you haven't bought one of Andy's albums yet, head on over to his online store and grab one... this guy can really play. After a fun night of dinner and drinks with Robbie and Annie, I awoke the next day to be treated to an amazing guitar lesson by Robbie at his beautiful home studio. This is ultimately what I had come for and I was really looking forward to it... I was not disappointed. Robbie is one of those kind souls that is clearly meant to teach others. Through his patience and uncanny ability to assess exactly what I didn't know and explain it all so clearly I was able to grasp material, in a matter of a couple of hours, that had been alluding me for years. I was inspired so much that the very next day I spent over 7 hours in my own home studio practicing the material Robbie was helping me with, and to great effect. I cannot recommend Robbie enough if you are a guitarist looking to improve your technique, knowledge of music, compositional skills, improvisation, etc. 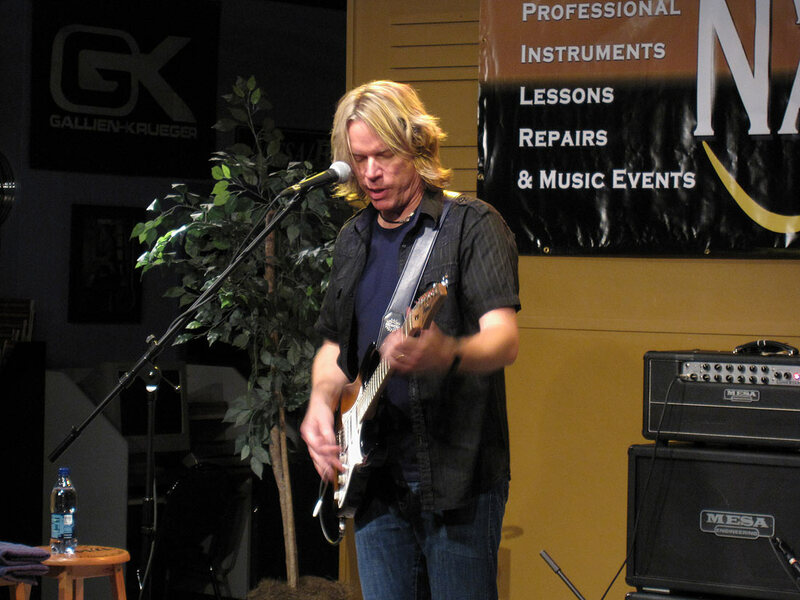 Look this guy up if you are a local (or if you plan to pass through Nashville) and book a lesson. And, of course, you can always order his Sweet Notes instructional DVD if coming to Nashville is not an option. You will not regret it. My wife and I look forward to many more fun weekends in Nashville in the near future. There is always good music, great friends and incredibly interesting people to enjoy and experience. Nashville rocks! 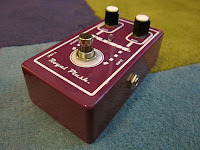 I finally got my Fuchs Royal Plush compressor pedal after ordering one at the Nashville Amp Expo a few weeks ago. I was really excited to add this unit to my pedal board, especially since I had no compressor pedals in my collection and had been unable to find a compressor to my liking in the past despite many auditions. As demonstrated by Andy Fuchs himself at the Amp Expo, this pedal is very quiet. Pretty much all compressors add a bit of hiss to the overall signal when used with overdrive or distortion (and this one is no exception), but with this pedal additional noise is very low and the compression effect is quite good. Per Andy, this unit uses a simple signal path for higher quality tone, hand-selected audio chips and an actual photocell just like an expensive rack-mount studio compressor unit. The effect is smooth, warm and free of the "pumping" effect cheaper units tend to suffer from. 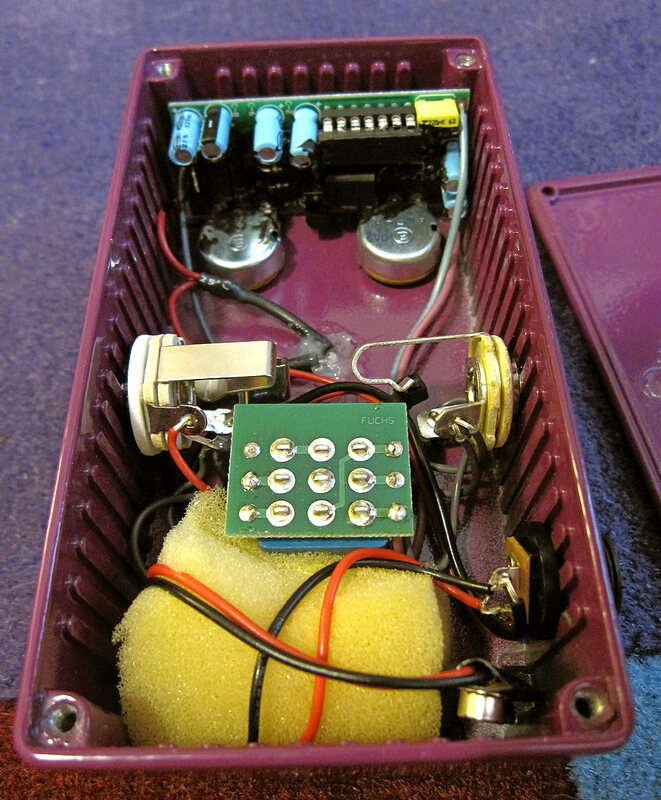 Plus, true bypass wiring means it isn't sucking your tone when not in use. Compression can be a very subtle effect when applied to the guitar. In fact, a lot of the time compression is difficult for a listener to discern when used in a guitar's signal path. Many players use a compressor as a volume boost for solos with little or no compression at all, while others dial up a lot of compression that "squashes" the tone to produce the snappy attack often heard in Country music "chicken pickin'" and Funk rhythm styles. 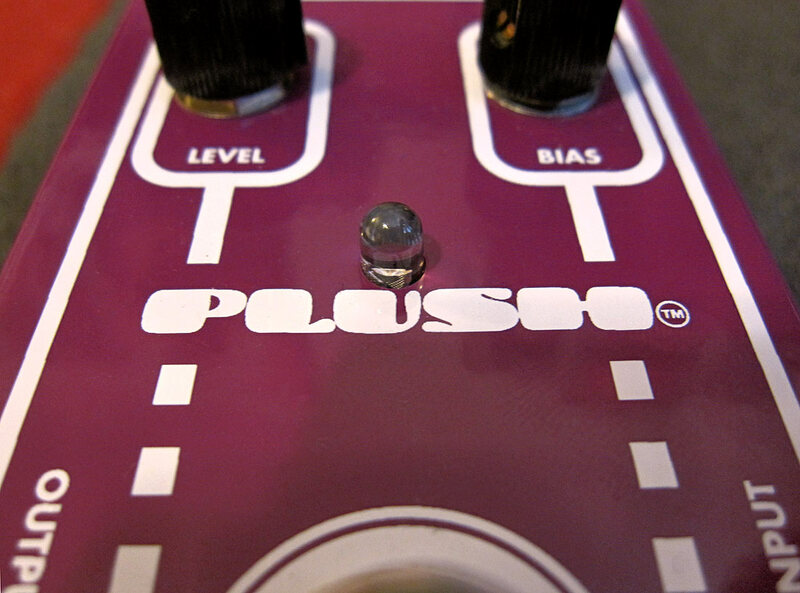 Basically, compression is the reduction of the dynamic range of an audio signal when run through a compression device, such as the Fuchs Royal Plush or any number of other compression pedals, software-based compression plugins and/or rack-mount hardware. Compression evens out the difference between softer and louder sounds by making them closer to the same volume... either with upward compression (making softer sounds louder) or with downward compression (making loud sounds softer). I am very pleased with the sound and transparent nature of the Fuchs Royal Plush. It's absolutely silent with clean tones and does a wonderful job of making the notes "pop" under full compression while avoiding the dreaded pumping effect. Back the compression down a bit and notes sustain beautifully while keeping their natural fatness. Tone-wise it's almost as if the pedal was not even engaged which, for me, is important because I want a compressor that is as tonally transparent as possible so that my amp's basic sound remains unaltered. I am also very impressed with the construction quality of this unit. Good, roadworthy metal casing fastened by hard phillips screws with heads that don't easily strip out when opening up the unit to access the battery compartment. 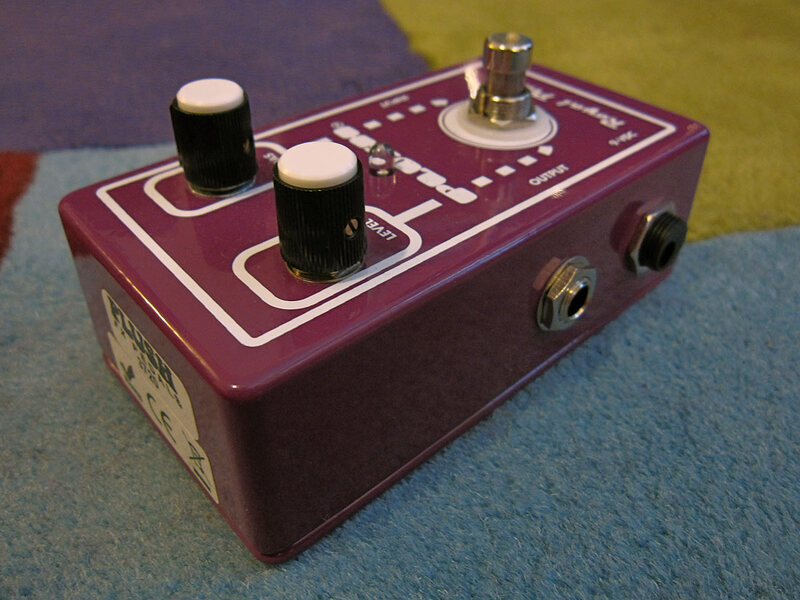 The plunger footswitch feels solid and is easy to engage and disengage... plus, even the purple paint is evenly applied and finished with nicely done graphics. Overall I am very pleased with this purchase! 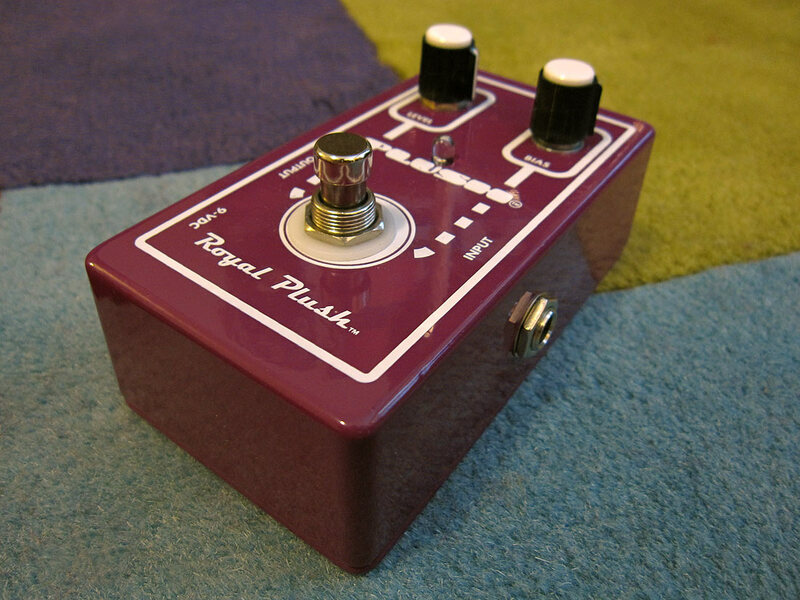 If you are looking for a great compressor pedal, I highly recommend the Royal Plush.